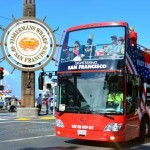 On this relaxed 2-hour cruise, enjoy spectacular sunset views, live guitar music and a hearty appetizer buffet that includes a variety of sandwiches, salads, fruit, and dessert, as you sail on beautiful San Francisco Bay with its amazing waterfront of modern skyscrapers, historic landmarks, and natural beauty. A full bar with drinks, snacks and merchandise is also available aboard. 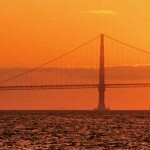 Get a great view of some of the greatest sights of the city on this San Francisco Bay sunset cruise. 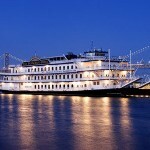 On this relaxed 2-hour cruise, enjoy spectacular sunset views, live guitar music and hearty appetizers from the buffet that include a variety of sandwiches, salads, antipasti, crudité, fruit, and dessert. 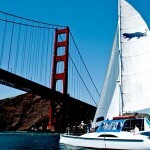 Come as you are as this sunset cruise of San Francisco is a casual, relaxed affair. 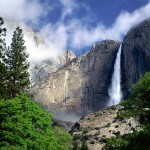 Along the way, share drinks with friends while taking in the incredible views. 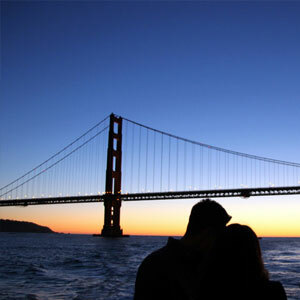 We like to think of this cruise as our picnic on San Francisco Bay at sunset! 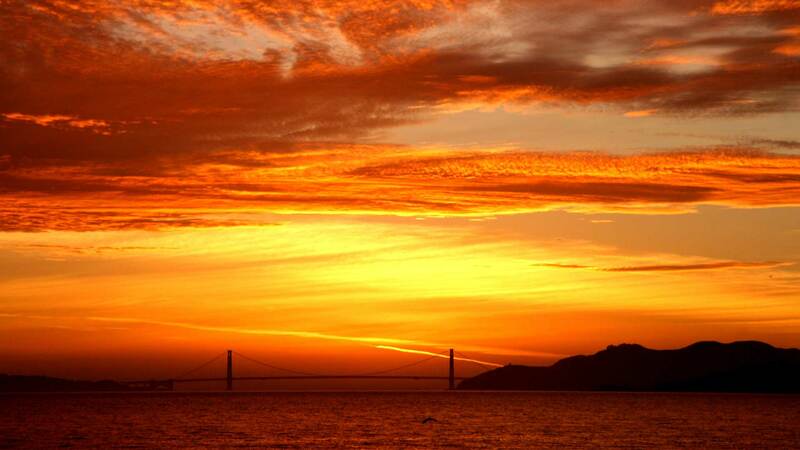 Be sure to dress warmly if you plan to be on the outside decks as San Francisco Evening Bay Tours are known to have cool evening weather – but trust us that you will love the views nonetheless! Advance booking is recommended as this event may sell out. A full bar with drinks, snacks and merchandise (including logo wear) at reasonable prices is available onboard. Sorry, no smoking and outside alcoholic beverages are permitted on the Vessel. Tickets for this cruise are valid only for date booked.